Daemons are services that provide several functions that may not be available under the base operating system. it is then disconnected and waits for further requests. Environmental variables are global settings that control the shell’s function as well as that of other Linux programs. 3.What are the different modes when using vi editor? 5.What are the process states in Unix? 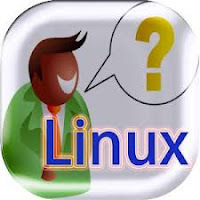 /proc is a virtual filesystem that provides detailed information about Linux kernel, hardware’s and running processes. Files under /proc directory named as Virtual files. Because /proc contains virtual files that’s why it is called virtual file system. These virtual files have unique qualities. Most of them are listed as zero bytes in size. Virtual files such as /proc/interrupts, /proc/meminfo, /proc/mounts, and /proc/partitions provide an up-to-the-moment glimpse of the system's hardware. Others, like the /proc/filesystems file and the /proc/sys/ directory provide system configuration information and interfaces. 7.What is the difference between hardware RAID and Software RAID? The hardware-based RAID is independent from the host. A Hardware RAID device connects to the SCSI controller and presents the RAID arrays as a single SCSI drive. An external RAID system moves all RAID handling "intelligence" into a controller located in the external disk subsystem. The whole subsystem is connected to the host via a normal SCSI controller and appears to the host as a single disk. Software RAID is implemented under OS Kernel level. The Linux kernel contains an MD driver that allows the RAID solution to be completely hardware independent. The performance of a software-based array depends on the server CPU performance and load. CUPS stands for "Common UNIX Printing System". CUPS is a open source printing system developed by Apple Inc. CUPS uses the Internet Printing Protocol (IPP) to allow local printing and print sharing. The log files for the CUPS printing system are located in the /var/log/cups/ directory. 10.How Many Run Levels present in Linux? There are 7 run levels, with each having its own properties.